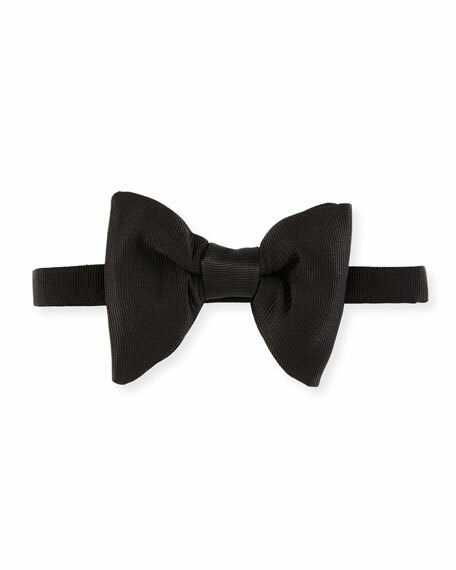 TOM FORD bow tie in grosgrain. For in-store inquiries, use sku #1957926. 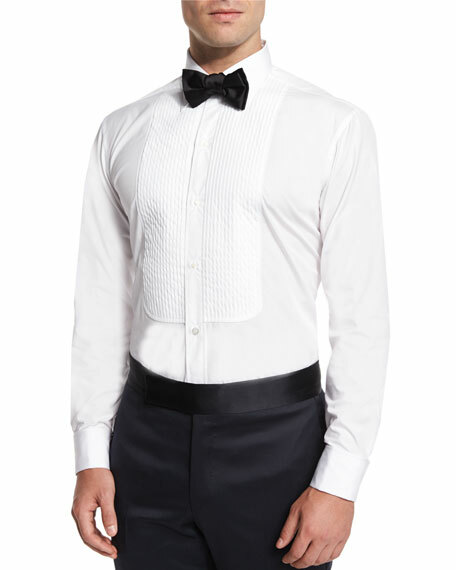 Charvet bow tie. Silk. Made in France. Model's measurements: Height, 6'1"/185cm, Suit 40L, Shirt 14.5 x 34.5, Waist 32"/81cm, Inseam 32"/81cm. Tom Ford pleated cummerbund. Adjustable waist. Silk; dry clean. Made in Italy.